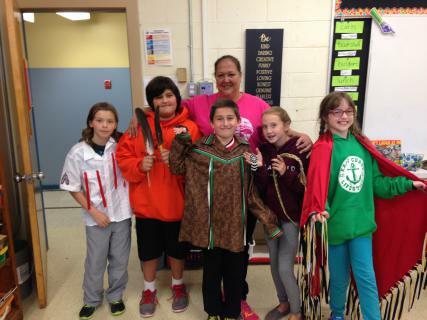 Students at Debert Elementary recently spent time with Stacey Marshall Tabor, a fisherwoman from the Millbrook First Nation. She shared traditional items and celebratory regalia from her family's collection and spoke to the students about following their dreams. The Grade 6 class prepared for her visit by researching her story and preparing well thought-out questions, taking into consideration human rights, gender equality and cultural stereotypes. Mrs. Tabor provided an afternoon of inspirational storytelling, authentic cultural items and a motivational message to students to never give up and follow their dreams.